Contributed Photo/Courtesy Brent Hekekia: Longtime local coach Gerald Hekekia suffered a severe injury during a fall Saturday. A bake sale is now underway to help with medical costs. 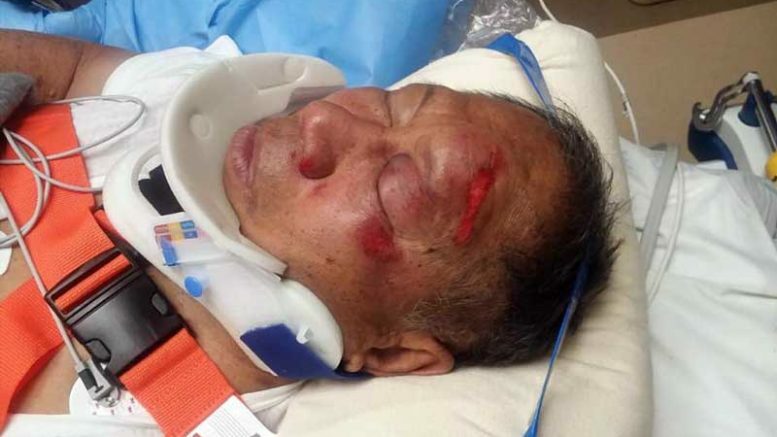 PHOENIX – Legendary local high school and college coach Gerald Hekekia was severely injured in a fall Saturday, Jan. 6, and now Eastern Arizona College clubs are organizing a bake sale to help with medical costs. Contributed Photo/Courtesy Brent Hekekia (Photo by Brad Hekekia): Coach Gerald Hekekia underwent a three-hour surgery to repair his spine. According to family members, Hekekia suffered a fall in his residence at about 4 a.m. 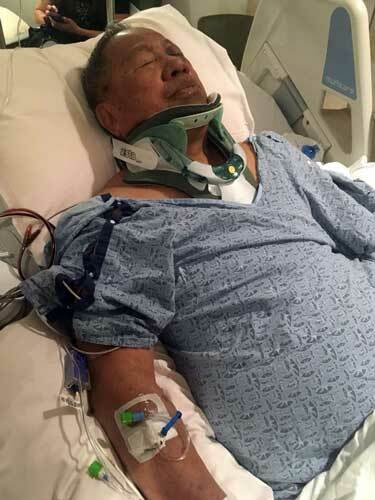 He was transported to Barrow’s Neurological Center in Phoenix for surgery to repair his spinal cord. Hekekia also suffered nerve damage to the ligaments in his neck. The three-hour surgery was successful, but Hekekia is unable to move his right arm or leg and has limited movement of his left arm, according to family members. With requiring extensive medical care and a long rehabilitation road ahead of him, the ASEAC Ribbon Club, The Polynesian Club, and the EAC Athletic Department are having an online bake sale/auction Thursday, Jan. 18 from 10 a.m. – 1 p.m. 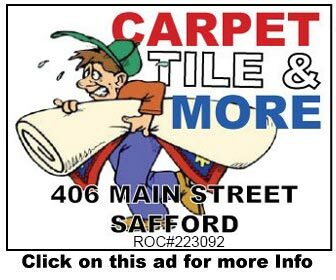 The clubs are asking for donations of baked items to assist the sale. 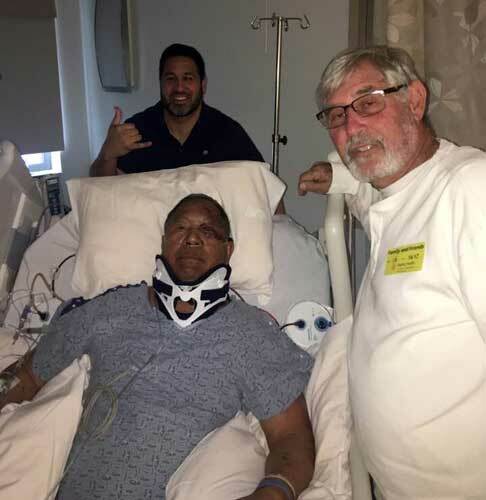 Contributed Photo/Courtesy Brent Hekekia: Injured coach Gerald Hekekia gets ready to watch the college football championship game Monday night with son, Brad Hekekia, and friend, Chuck LaVetter. Those interested in helping should drop off the baked goods at the Activities Center conference rooms between 7 a.m. and 8:30 a.m., Thursday, Jan. 18. Other food items, such as chips and salsa, vegetable platters, crackers, and cheese, etc., will also be accepted. Additionally, the groups will accept craft items and cash donations may be made at the Student Life Office. For more information regarding the bake sale or to take part in the auction email Patti Wren at patti.wren@eac.edu. Hekekia is a longtime Gila Valley coach, having coached both football and volleyball at Thatcher and Pima, respectively, as well as at EAC, where he led the Gila Monsters to a national championship in 1991 as well as runner-up in 1986 and 1992. He was also named National Coach of the Year in 1992 as well as Region I Coach of the Year from 1987-1992. Hekekia’s family thanks the community for their concern and prayers for him.